The company believes in providing the best tools and equipment to workers to effectively maintain each of these aspects on the job site. If better scaffolding appears on the marketplace, Lang Masonry Contractors, Inc. will have it. If another forklift is required, the employees will have it. 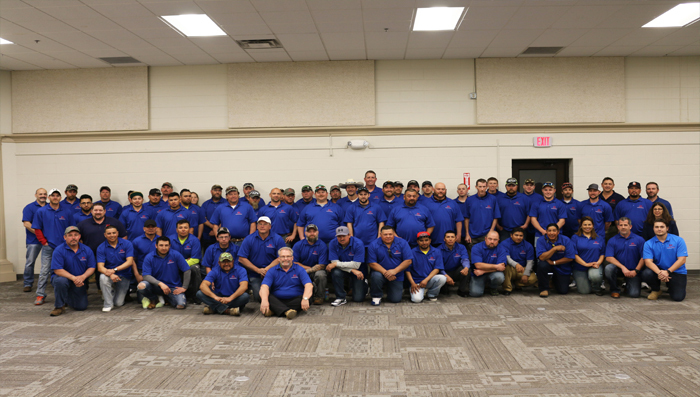 Progressive pay programs and competitive bidding are an integral part of Lang Masonry’s success; however, the relentless pursuit of safety, quality, and production on each job is the driving force behind every decision made in daily operations. Lang Masonry Contractors, Inc. remains committed to providing the highest integrity service to the commercial, industrial, and institutional masonry customer.